Home is the happy feeling of opening the pantry door and recognizing all the labels that stare back at you. It’s the place you can grab any jacket off the rack to run outside to the car or down the road on an errand, even if it’s too big and not yours. Home is pretty hard to define. I’m not going to try. I’ve been dreaming of a home. Of a basement suite on Garden Street with two bedrooms and a kitchen and lovely landlords upstairs. Of an alley and at least one neighbour I know, and of driving to work every day knowing that I will come back to a kitchen table, a bed, and a whole boxful of books! 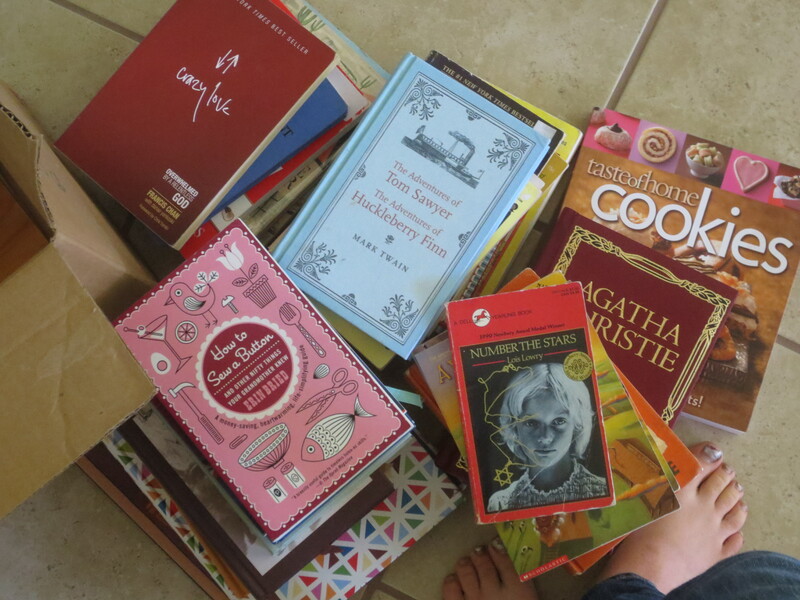 It’s been a long time since I brought a whole boxful of books anywhere. In less than two days I shall be moving into a place that I can call home, be it for long or short. I will be in my hometown and be reconnecting with old friends and making some new ones. I will live with my not-so-little brother and my basically-a-brother cousin, and it will be good. We will make soup. We will do dishes. We will laugh and grumble and play music and games. We will have guests. We will have conversation and friendly silence. The bathroom will be cleaned and the floor will be swept. I like a clean floor. It will not be a sleepover. It will be a home. We’re all excited that you’re coming ‘home’ to live…be it long or short! Welcome home! I’m glad you’ll be sweeping. Hopefully you’ll also have sheets on the bed. Those will be 2 steps above Nicholas! 😉 (Okay. He was sick. He has an excuse.) Hope it goes well!